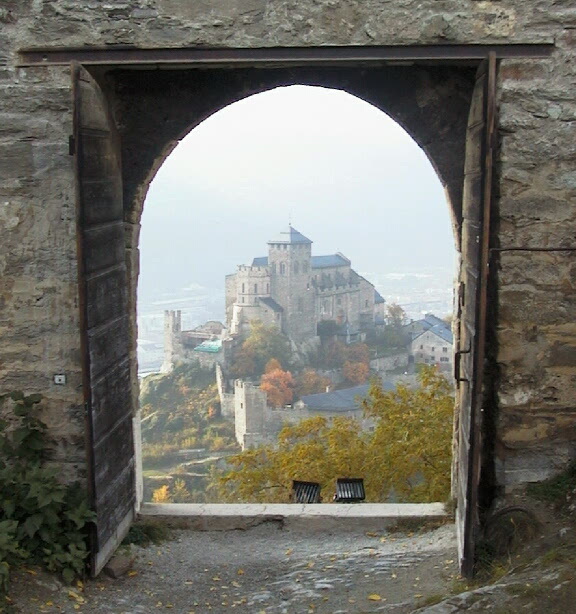 Looking out the door of Chateau de Tourbillon at Chateau de Valere in Sion. It's quite a hike from the door of one castle to the other. On the hill in the picture you can see below is Chateau de Tourbillon from where I took this picture. 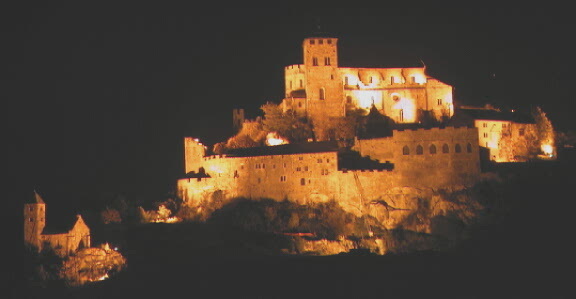 night2.jpg A picture of Chateau de Valere at night. 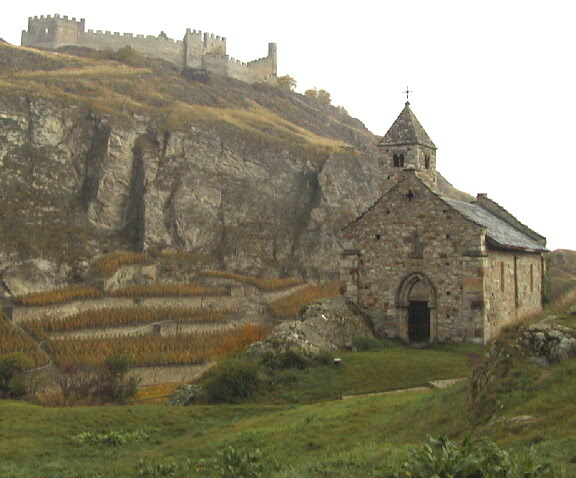 The church on the left side of the picture is the same church as in the picture you can see below. 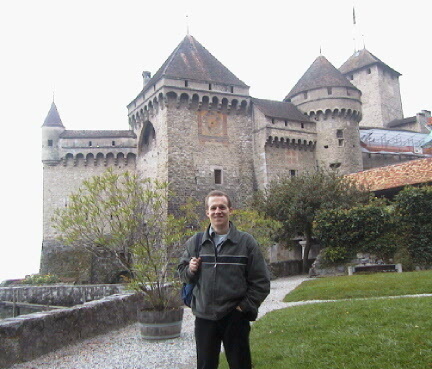 clock.jpg Me in front of Chateau de Chillon in Montreux. 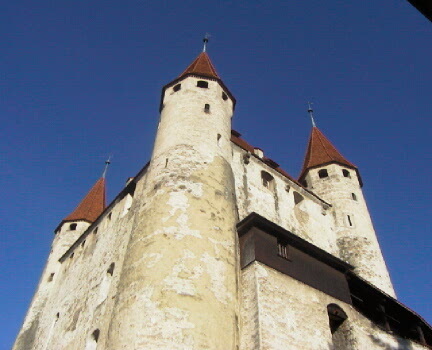 This is a stereotypical 13th century castle all the way from the dungeonm torture chamberm armorym and moat. valley.jpg Me next to le Chateau de la Batiaz in Martigny. To me, the most impressive (and bizare) attraction to this town is the final contest of the Valais cow fighting season. Staring up at Chateau de Tourbillon from Chateau de Valere. 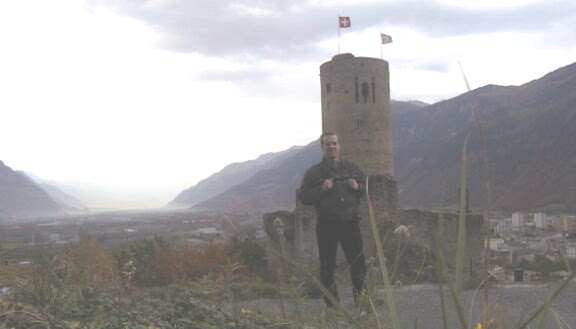 The picture you can see above is Chateau de Valere, where I was standing when I took this picture. 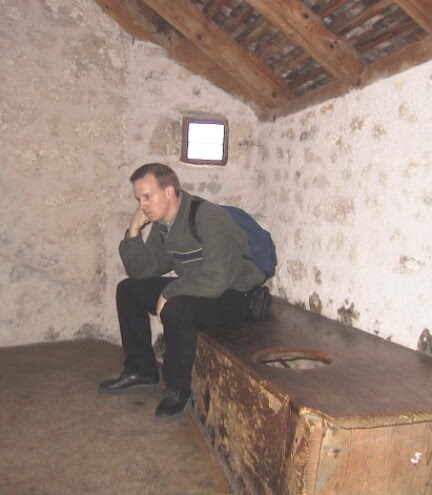 onpot.jpg Me doing The Thinker in the Chateau de Chillon in Montreux. 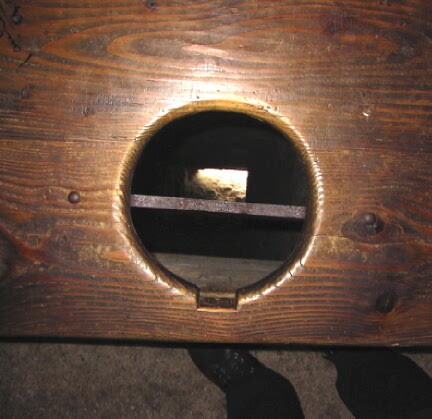 The toilets were merely holed-seats in rooms that hung over the moat. downpot.jpg A view down one of Chateau de Chillon's toilets. Talk about taking reveng on the pigeons! 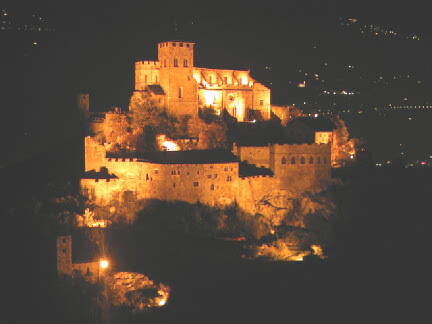 killerworm.jpg Meiringen is the home of the Aaresclucht which is the fork-tounged Tatzelwurmli. 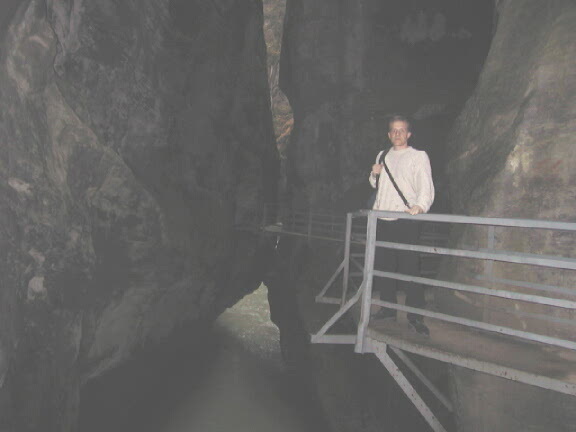 The gorge was only recently made accessable to the public and is fabled to be the habitat Switzerland's not-as well known version of the Loch-Ness Monster.